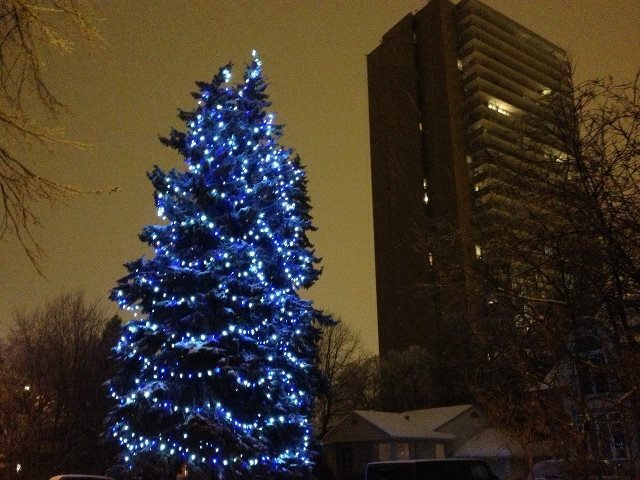 This is a 55′ Christmas tree we lit in the Osborne Village neighborhood of Winnipeg. It’s a fantastic look with the uber-bright C9 Retrofit LEDs hung in a custom white/blue pattern. 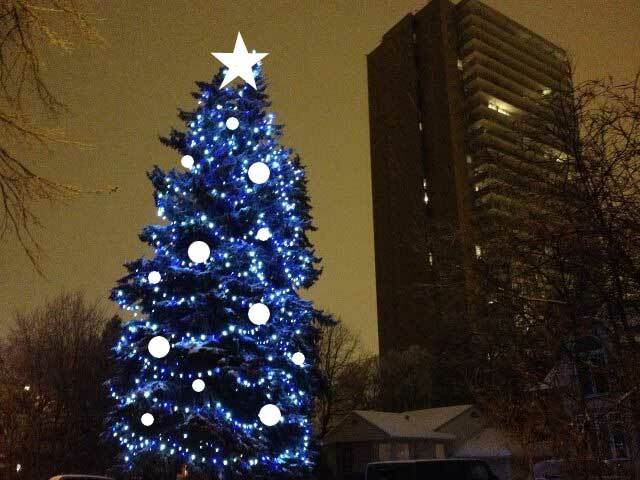 We’re very proud of this tree. I began thinking though, if we wanted to make it even better, how would we do it? Just like you would hang decorations in your indoor Christmas tree, lit decorations such as spheres are certainly an option in your outdoor tree. Same would go for a star (or angel) on top. With a bucket truck things like this are possible. What do you think? I really, really want to do one of these. 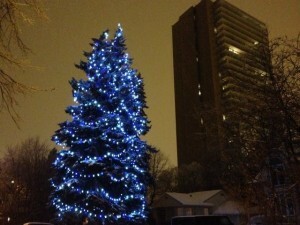 This would be a stunning tree that would find its way on to many Christmas light sightseeing tours.